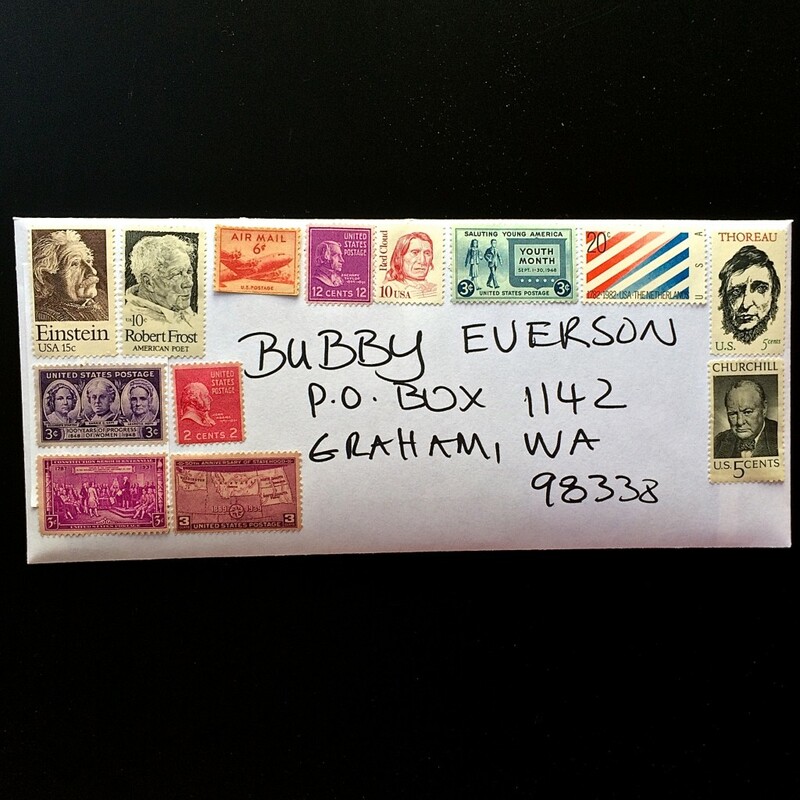 I love mail art! 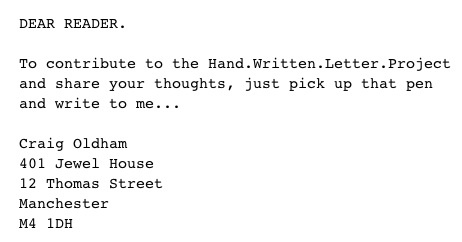 When writing a letter, whether it’s a Hello! I’m thinking about you! 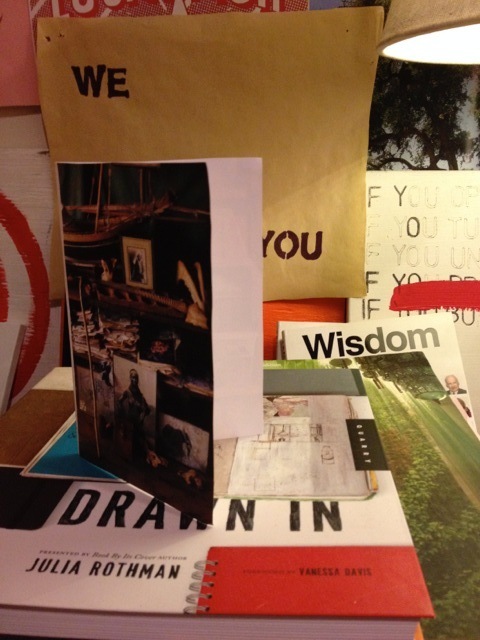 or a simple thank you letter, turn it and the envelope into something fantastic and unexpected. 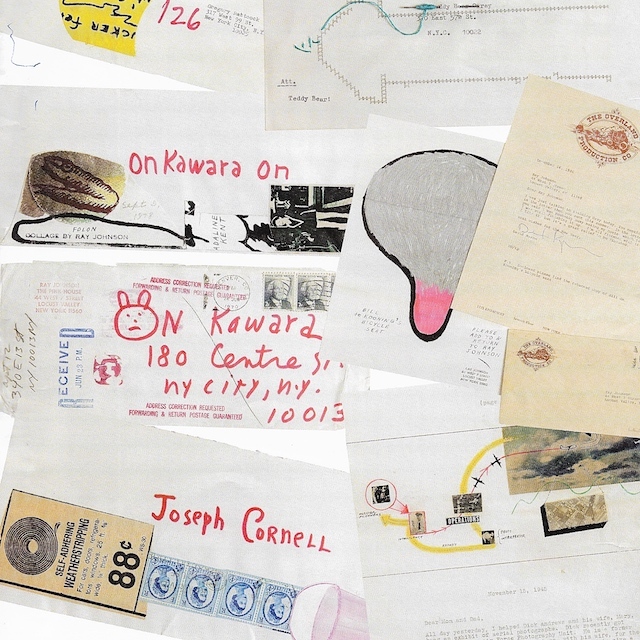 It initially developed out of the Fluxus movement in the 1950s and 60s, though it has since developed into a global movement that continues to the present. 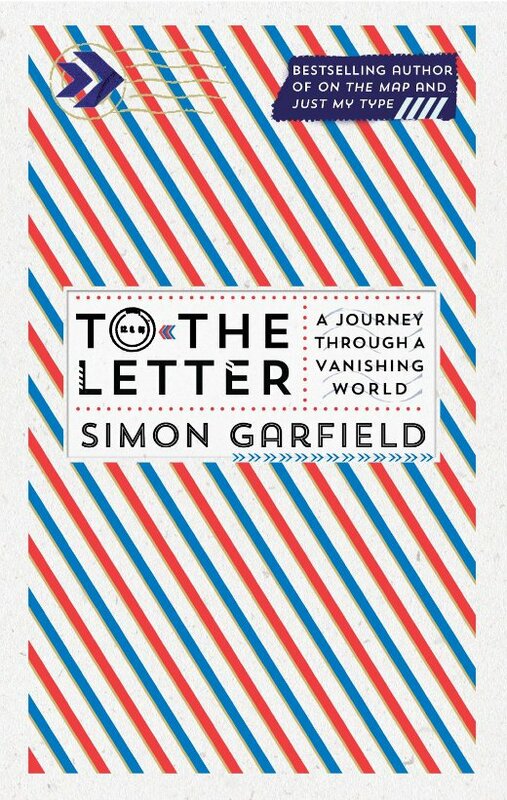 It’s Thank You Letter Time! The holidays have come and gone and all those lovely gifts each of us received now deserve a thank you. *If you were given something to wear or use, acknowledge it by saying something positive (even if the item is a misfit). Mentioning a specific, such as the nice color or fabric, will go a long way in showing how much you value the person’s kind thought! 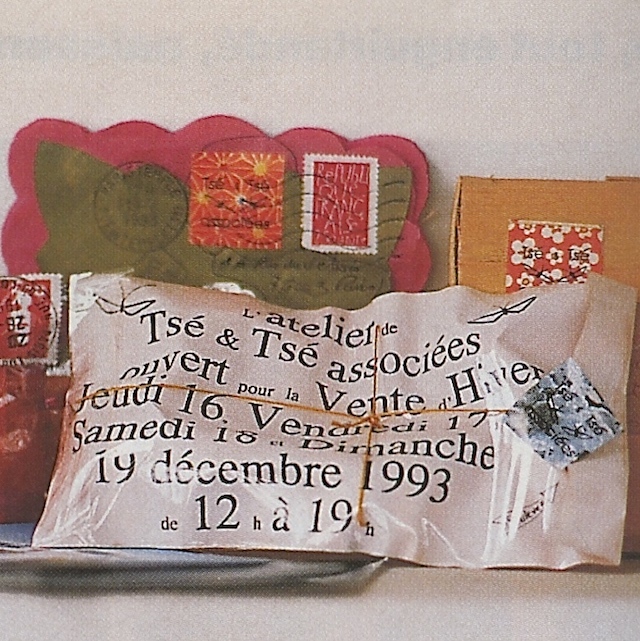 *Don’t forget to include the recipient’s name in the initial greeting. 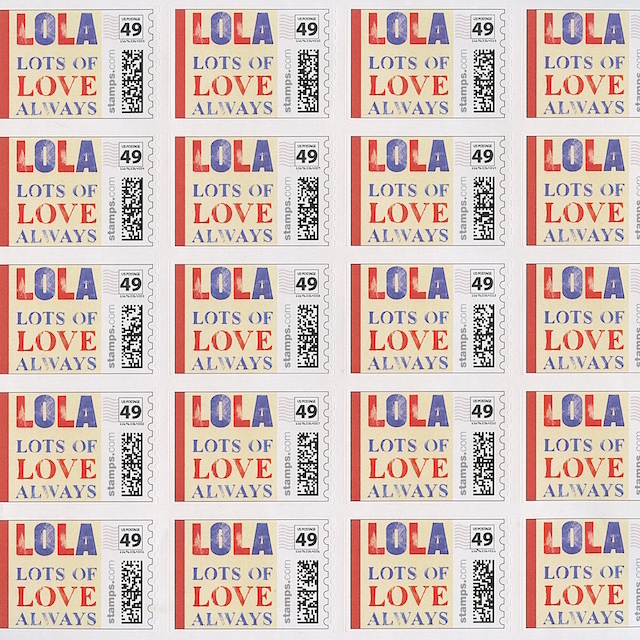 I’ll be using my new LOLA stamps on the thank you letters I’m sending out! 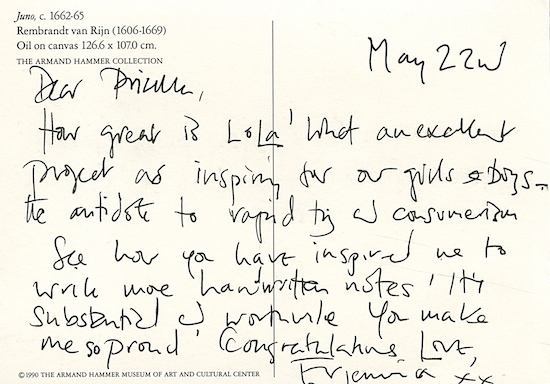 This excerpt is of a love letter written by Frida Kahlo: “I don’t know how to write love letters,” Frida Kahlo wrote in 1946. 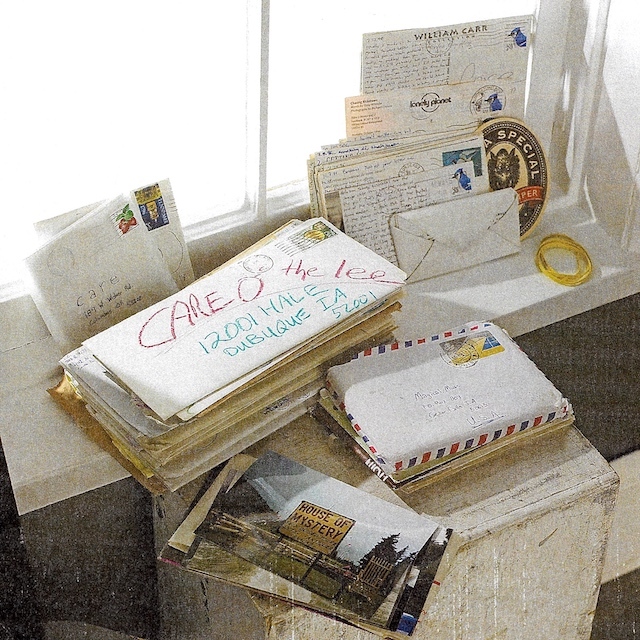 “But I wanted to tell you that my whole being opened for you. Since I fell in love with you everything is transformed and is full of beauty… love is like an aroma, like a current, like rain. The renowned Mexican artist wasn’t pining for her then husband, Diego Rivera. 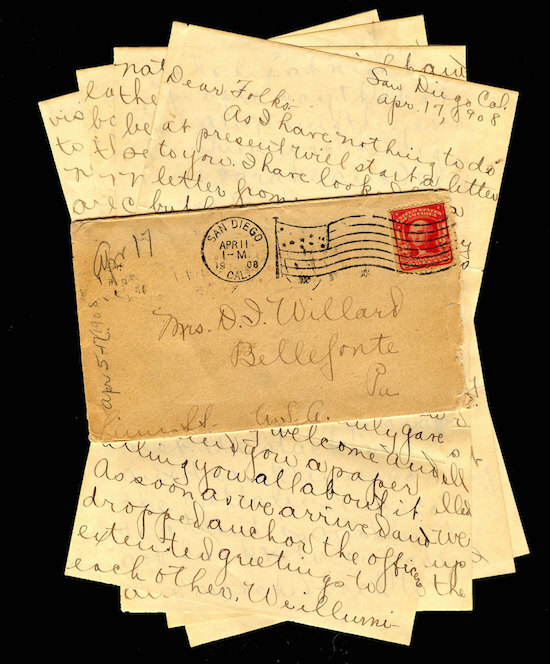 The love letter was intended for Jose Bartoli, a Catalan artist and political refugee who moved to New York after escaping the horrors of the Spanish Civil War. She and Bartoli met there while Kahlo was recovering from spinal surgery — a procedure aimed at treating injuries she sustained in a tram accident when she was 18 years old. 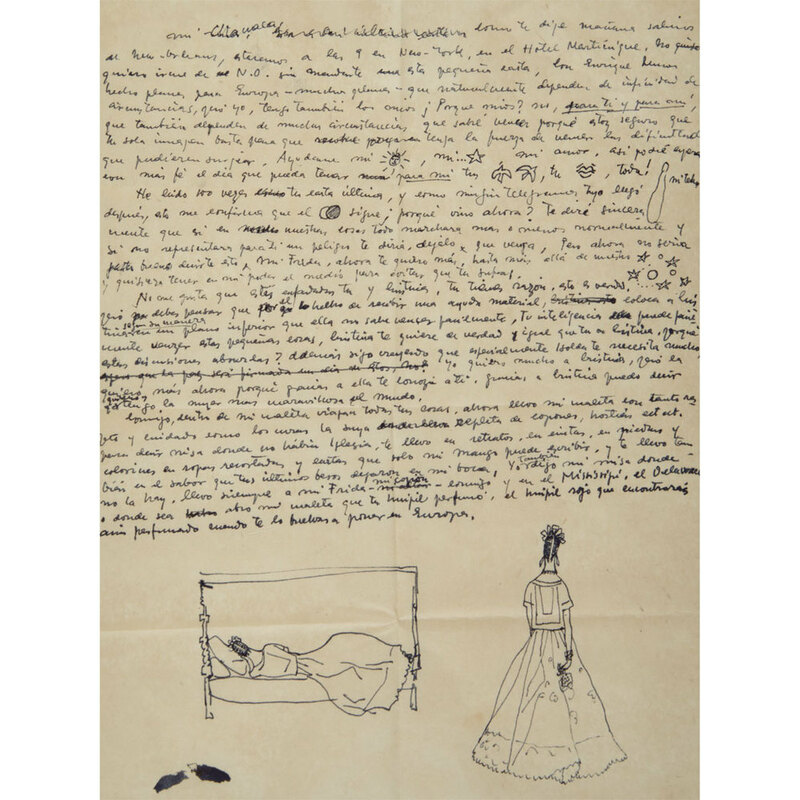 When Kahlo returned to Mexico, leaving Bartoli behind, the two embarked upon a secret, long distance romance, exchanging letters over a period of several years that touched on Kahlo’s paintings, health and relationship with Rivera. Take part in brightening the day of an 8-year old child who is terminally ill. Bubby contracted a virus at birth, Cytomegalovirus or CMV. Usually it’s harmless, but in very rare cases it can be devastating. In his case it will be fatal. I sent him LOLA stickers! 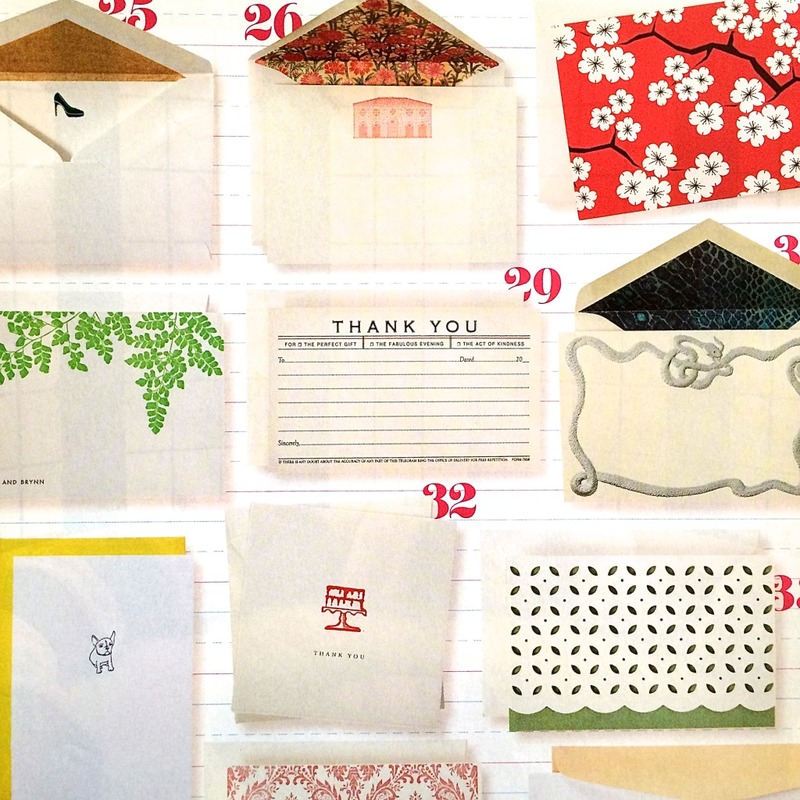 The week or two following the holidays is a great time to write thank you letters. Big and small gifts should receive equal attention as does everyone who thought about you by making the effort to give you something. 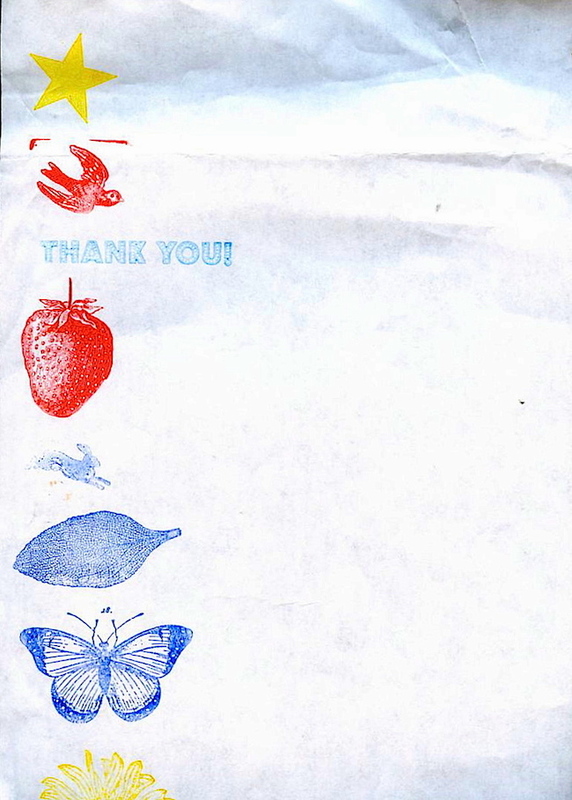 Email thank you’s don’t count! 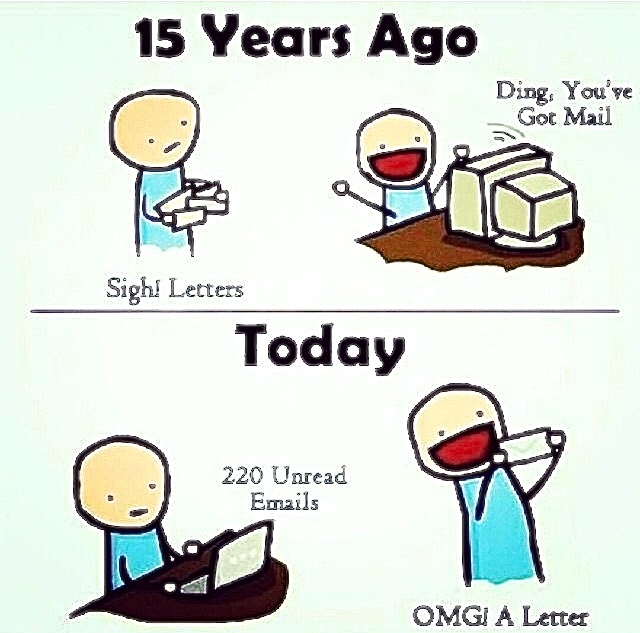 The handwritten letter is an endangered species. It was driven out by telephone calls, which are themselves being driven out by texting. Now, people tell me, when someone dies, they get a text from their friends that says, “Oh sorry.” Texting makes sense if you want to ask someone to get a cup of coffee. 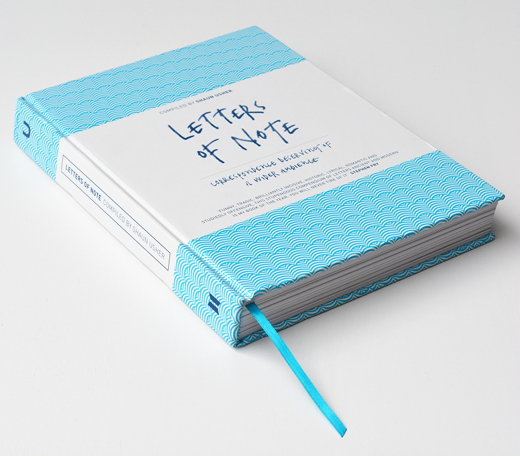 More serious occasions, like a death in a family or a wedding, call for a handwritten letter. 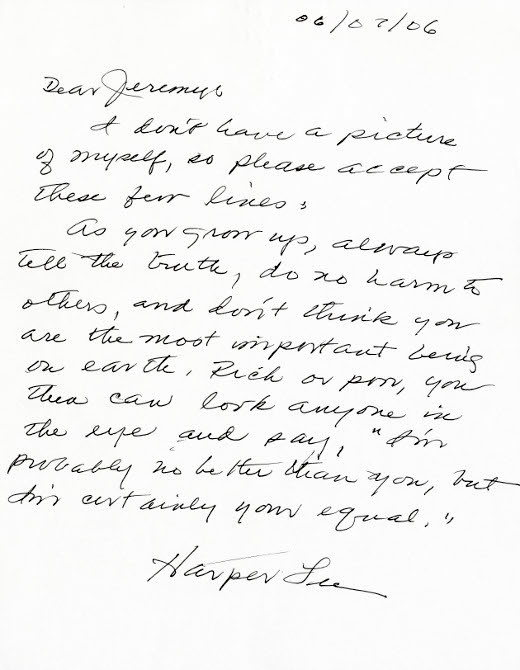 It’s not hard: Take a blank piece of paper and write. 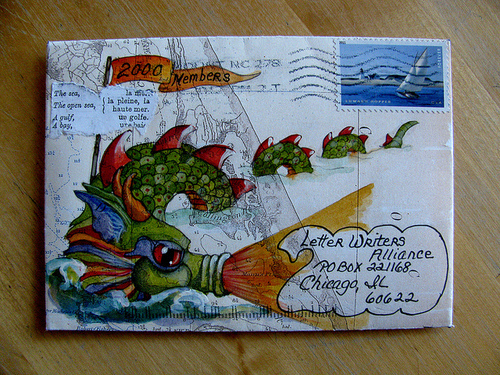 You can also use your artistic skills on the envelope. I’m the CEO of my company Maya’s Ideas where I design and create eco-friendly clothing and accessories. With every order from my company that I mail out, I write a personalized handwritten card to the customer and put it inside the package. I also draw a little flower on the cards! Every time I receive an order I feel so happy that someone loves the hard work and passion I put in to creating each of my designs so I always want to include a personal thank you. Having a good connection with your customers and your audience is so important and essential for any business to thrive. 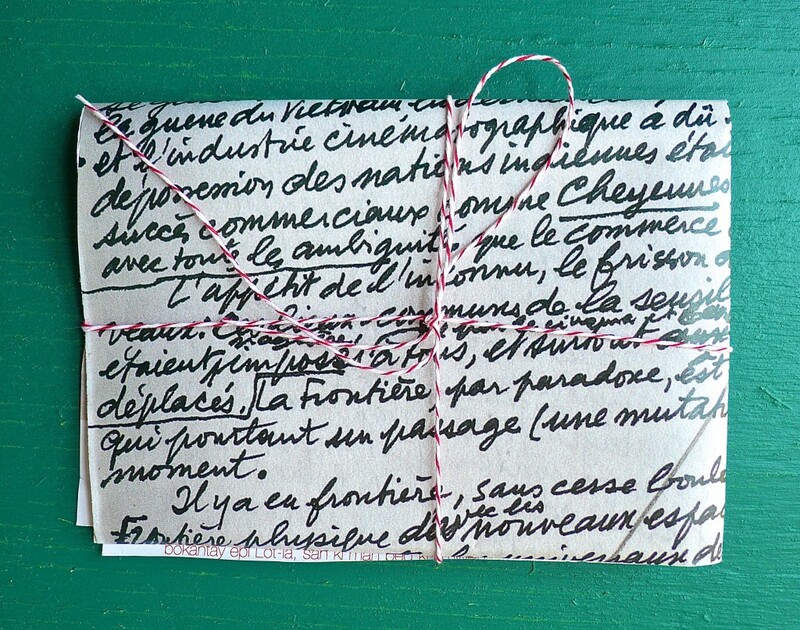 What makes a great love letter? “A kind of excess,” Mia Farrow said. “Good spelling, good grammar and passion,” Carol Burnett said. 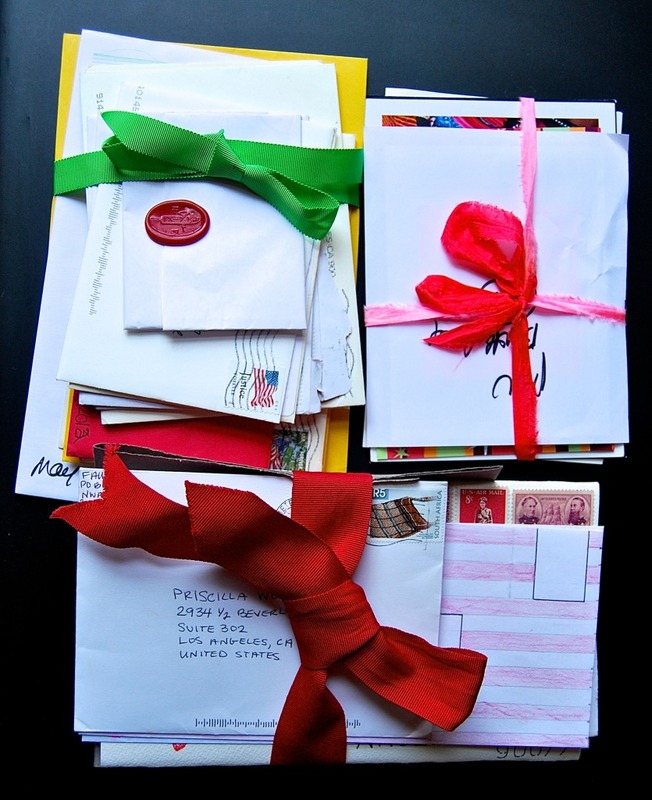 What makes a good love letter? Depth of feeling. And courage. 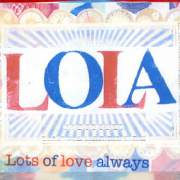 LOLA tribe: Do you remember the first love letter you received? 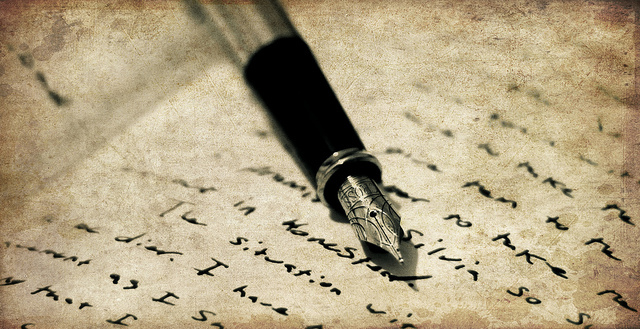 Do you remember the first love letter you ever wrote? 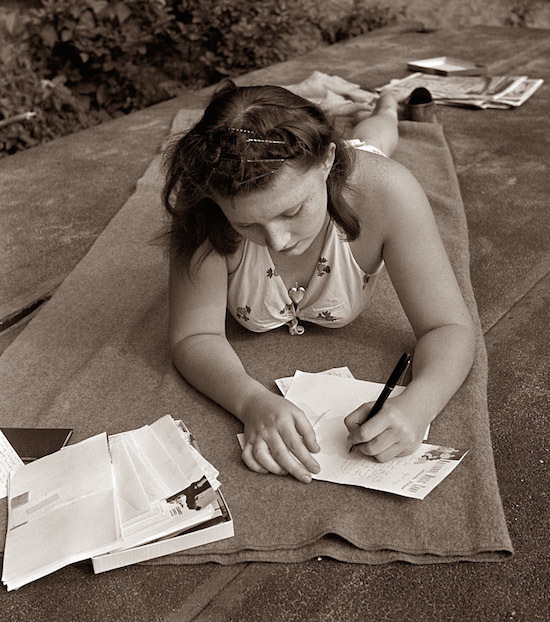 Writing someone a thank you letter or a friendly note by hand and in cursive not only helps your memory but also nourishes the soul. It feels good to write it and feels good to receive it. 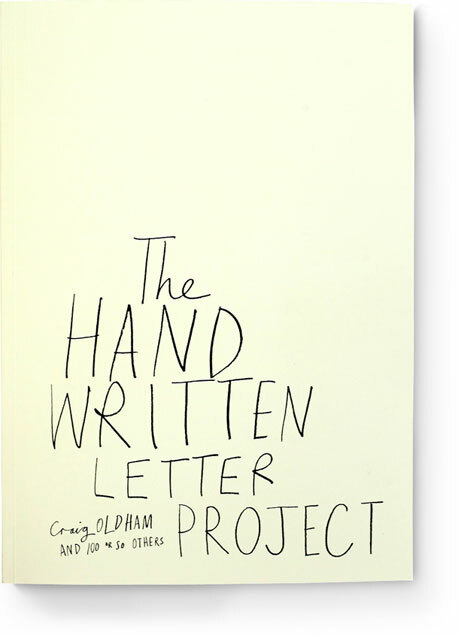 According to Maria Konnikova in a recent piece for the New York Times, she writes that “cursive or not, the benefits of writing by hand extend beyond childhood. 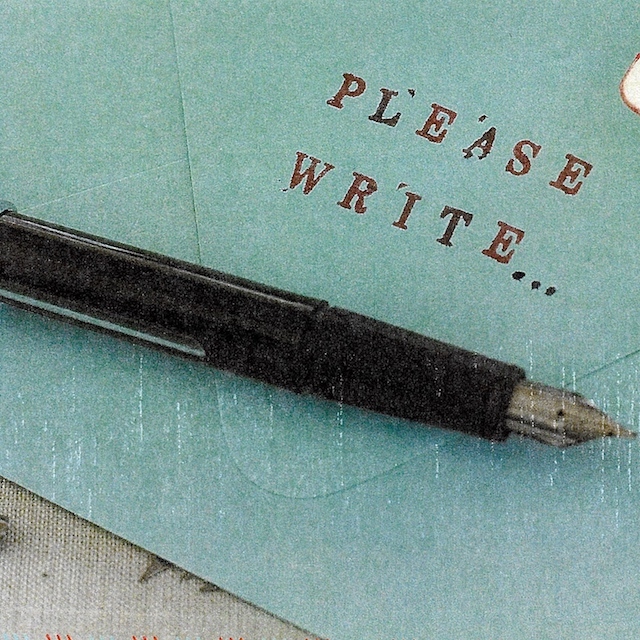 Who can you write a thank you or a hello how are you note to today? They would love to hear from you! 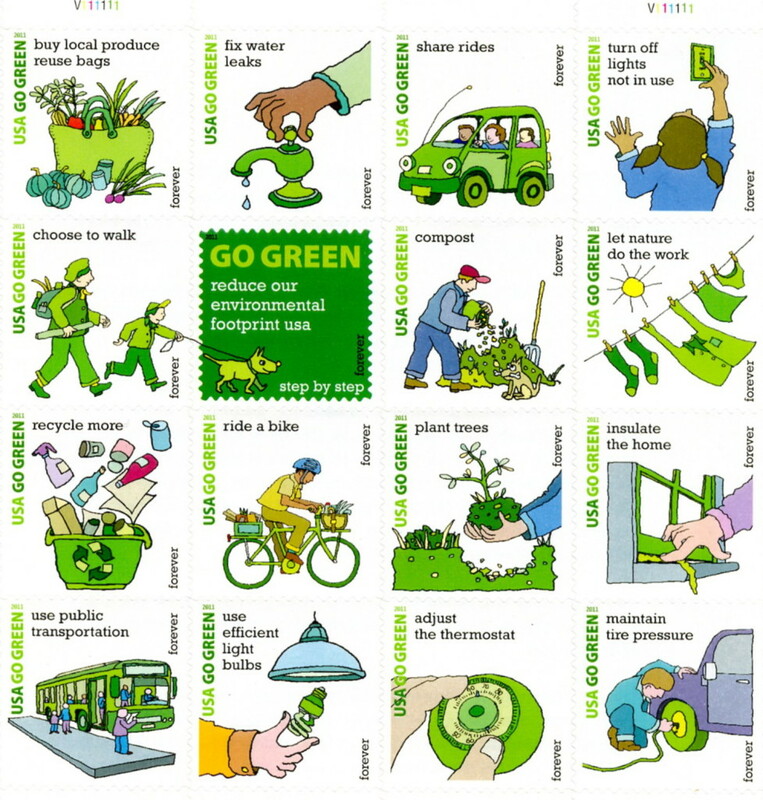 Go Green with your stamps! 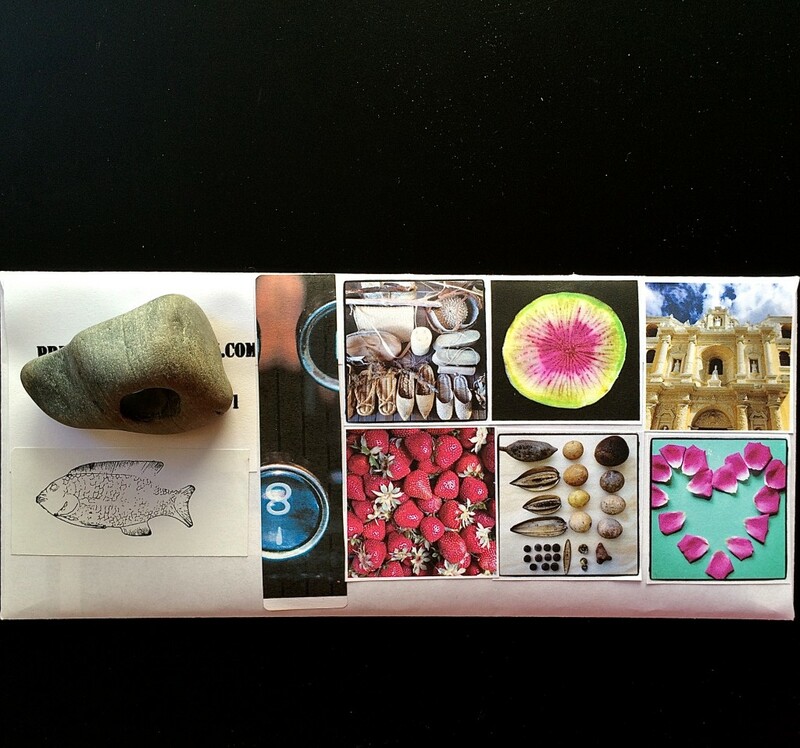 Each stamp shows you step by step ways to reduce our environmental footprint from buying local produce and reusing bags, to riding a bike, recycling and using public transportation whenever possible. 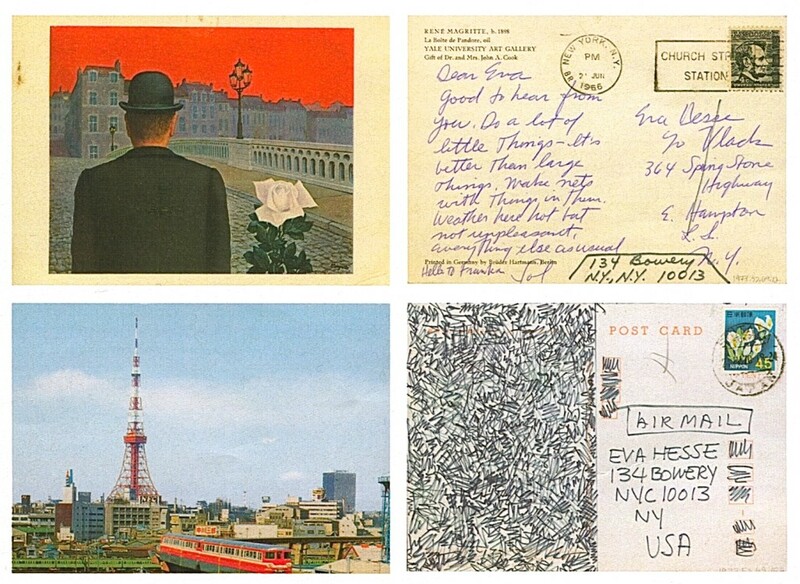 Write postcards to your friends and your mom too! 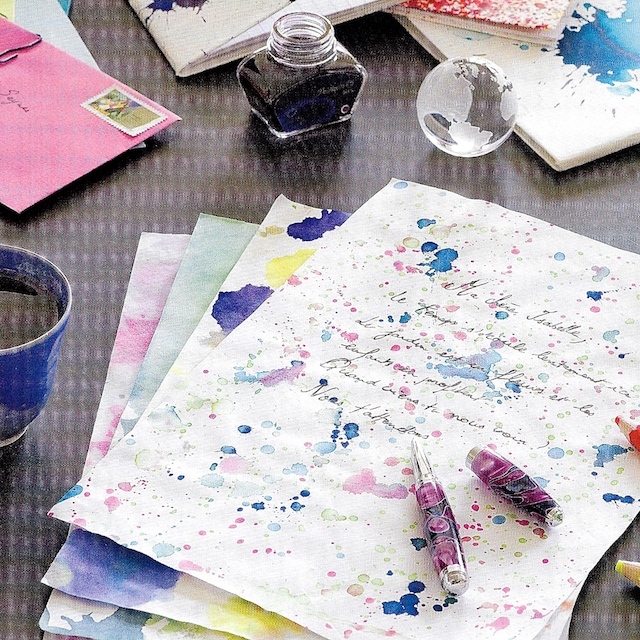 Try writing a heartfelt note-with pen and ink on lovely stationary or a handmade card-and you just might find your effort repaid in kind. 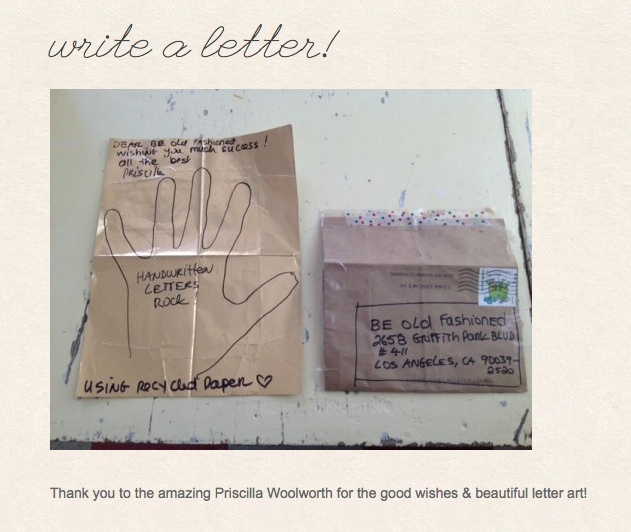 It’s always nice to send and receive a hand written letter! -from Samantha Boardmans’ article in Harper’s Bazaar. 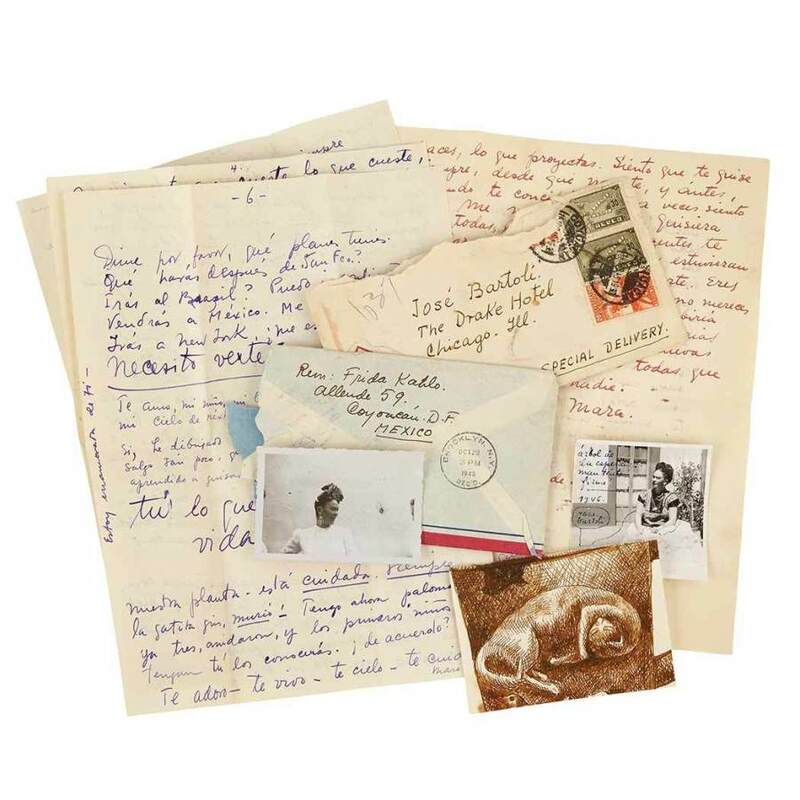 Letters of Note: a wonderful site and book presenting fascinating correspondence, complete with scans and transcripts of the original missives where available.